At Last! A Simple, No B.S. Solution For Fixing Common Hitting Mistakes! For a baseball player, there's nothing more frustrating than struggling at the plate. And for a coach (or parent), there's nothing more heartbreaking than watching a kid strike out over and over, no matter how hard he tries. Here comes the pitch... belt-high... right down Broadway. His eyes light up with anticipation. Back to the dugout with slumped shoulders and a face like a wet blanket. Did he dip the back shoulder and uppercut? Roll the top hand over too soon? Or maybe his problem is just a "slow" bat? Unless... you know exactly what you're looking for. How to stop Locking Out the Arms... and develop a powerful, flexible swing that covers the entire plate, and CRUSHES off speed pitches as well as fastballs! Pinto Bean Drill: got a great swing but can't make contact? Your hitters EYES may be the problem... and this fun drill will quickly help him develop laser-like vision and "fine focus" in the batters box. Color Ball Drill: all you need is standard baseball and a few magic markers, and you'll have an amazing training aid that improves concentration, boosts pitch tracking skills, and helps your hitters make more solid contact! It's Easy To Learn And Simple To Teach, So You Can Start Using These Drills Tonight! Hitting Faults and Fixes is an essential part of any serious coach's library, whether your'e brand new to the game, or you've been coaching for years. 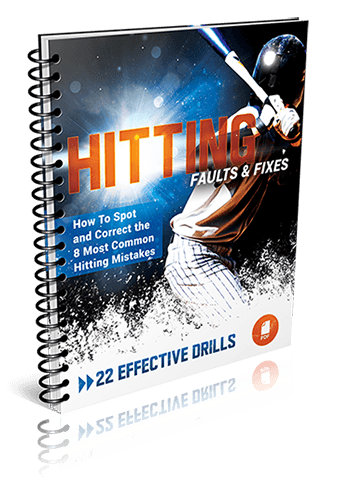 The drills and concepts you'll learn WILL translate to better performance at the plate and more base hits, no matter what level you play at, or how much your hitters are struggling right now. So if you're serious about becoming a better coach, and if you would like to instantly have a proven plan to develop a pro-level fastball, changeup, and breaking ball... click the Add to Cart button below now. It's just 38 pages. Short enough to read in one sitting. There's more real, actionable information jammed into this report, than you'll get reading a dozen "science of hitting" books. 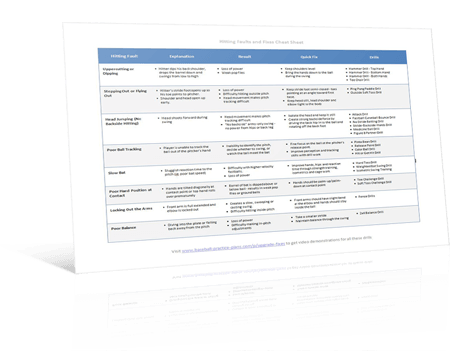 This report is so essential I'm practically giving it away because I want to make sure you take the simple steps to becoming a master pitching coach, and start seeing the results right away. Click the Add to Cart button below to get instant access to "Pitching Grips 101" Risk Free for just $7. Why would you risk injuring your pitcher's arm by using unproven techniques? Or risk killing his confidence by sending him on the field without proper training? I've already done the research... spent the time filtering out what doesn't work… and compiling it all into this incredible "best of" pitching grips collection. Just download "Pitching Grips 101" and you'll get instant access to a complete training system you can start using today! 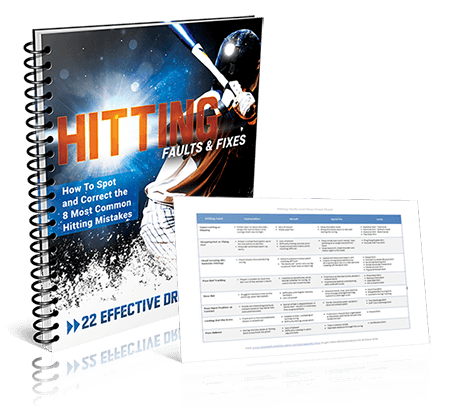 Click here to get instant access to Hitting Faults and Fixes now for just $7! PS - Remember, you get a full 60 days to review all the grips and see if they work for you. And if you're not 100% satisfied I'll send you DOUBLE your money back!